Commander One Discount Coupon Code - Special 30% OFF!! 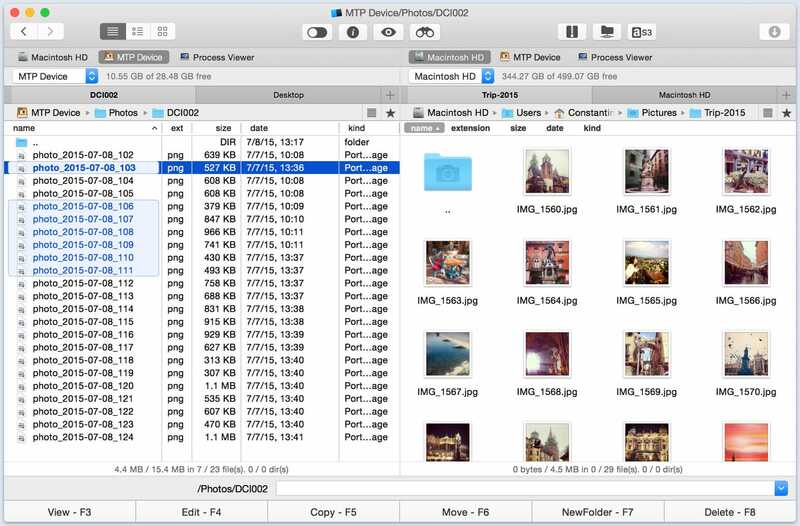 Commander One is a powerful dual-pane file manager and Finder alternative, which has been popularly regarded as Total Commander for Mac. The dual pane makes it convenient to transfer files between two different locations on the local drive, external drive or on a network. • Different View Modes: You can switch between different view modes – Full, Brief or Thumbs – depending on the convenience to work with different types of data. • Hidden Files: Commander One can list down hidden files on your Mac. • Unlimited Tabs: With Commander One, you can open an unlimited number of tabs in each pane, giving you access to more number of locations simultaneously. • Advanced File Search: Commander One includes a powerful file search tool which supports searching with regular expressions, search by content and more. Additionally, Spotlight search is also available. • ZIP support: Archive, extract, or just open ZIP as a folder using Commander One. • Customizable Hotkeys: Assign a hotkey any action within the application. Commander One also has a PRO pack which includes some more cool features like FTP Manager, Process Manager, Archiver, Themes, Terminal Emulator and Cloud Drive Integration (Dropbox, Google Drive and Amazon S3). It can also mount MTP devices, and is probably one of the only file managers on Mac that work with Windows Phone devices. Normally, Commander One costs $29.95 for a Personal license, $99.95 for a Team license (up to 5 Macs) and $299.95 for a Company license (up to 50 Macs). But for 7labs readers, we have a special discount of 30% on all Commander One licenses. Just click on the “Get This Deal” button below, select your preferred license, and apply the following coupon code at checkout to avail the offer.